After moving to Ubuntu 17.10 Gnome Desktop, you may find that some handy indicator applet switches has gone. One of them is that neither ‘Settings’ nor ‘Gnome Tweaks’ show options to enable battery percentage in top panel. Also there’s no options to configure the date and time display settings in the center of the top panel. 1. 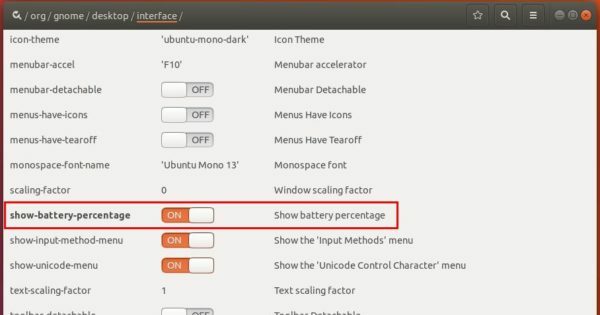 To show battery percentage in Gnome panel, install dconf editor from Ubuntu Software. 2. Then launch it and navigate to org -> gnome -> desktop -> interface, scroll down and turn on the switch for ‘show-battery-percentage’. There you can also set clock time format, show or hide date and seconds. 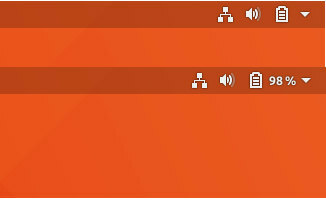 ubuntu 17.10 does not need dconf for dock luncher is there any way for showing charge percentage without installation of dconf. If it is share to me.